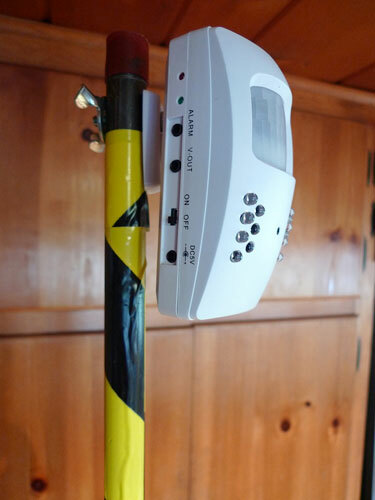 This device has an audible alarm,records audio, video, and takes pictures when something is detected. All evidence is date and time stamped. This device has a color Sony CCD camera with built in IR Illuminators. The best part about this device is that it has real time audio and will record video in AVI format and pictures in JPEG. There is a adjustment feature for sensitivity based on investigation parameters thru a menu driven prompt on any video input monitor or the interactive touch pad on the rear of the camera. All evidence captured is stored onto an SD Card.